Find Quilt Stores! : More than 3900 shops to explore!. Your local quilt stores, fabric shops and sewing centers are a GREAT resource for quilters. You'll find more than 3900 of them listed here! Not only will you find quality quilt fabric, patterns, and all the coolest tools you could use, but the knowledge of all things quilting that you'll find between the store owner, her staff and very willing patrons, is invaluable when you are stuck or have a question. We, at Generations Quilt Patterns, encourage you to shop at your local quilt shop! 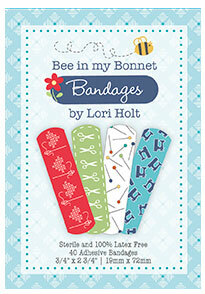 They are, hands down, the best instant resource for quilting help around! If you are a brick and mortar store owner only use the form below to add your quilt store to the list. If you are a quilter and your favorite store isn't listed, please give us a heads up! We try to keep things current, but if we've missed something or something is incorrect, please let us know via our 'Add or Correct A Shop' form. It doesn't matter where the quilt shop is located! We have visitors from over 170 countries visit this website every month. Your brick and mortar store, wherever it is located, it is very welcome in our directory! Again, remember to ALWAYS call ahead to make sure the shop will be open on the day you plan to visit. I have specifically omitted hours and days from the listings because they change. Stores close, many times without notice. They change their hours in different season or for special events and holidays. I don't want you to make any unnecessary trips. Open on the weekend, call for appointment during the week. If you'd like to add your favorite store to our listing or see a correction I need to make to a current listing, please use the form below. I've tried to keep the form short and simple. Your quilting time is valuable. And helping other quilters is valuable, too. Add as much information as you know and I'll take care of the rest. I've found new quilt shops to add or previously listed ones to correct or delete—they closed—simply because someone was generous enough with their time to send in the city and state. All I need is a clue. I understand that you will use my information only to update, change or delete a listing in the Quilt Stores Directory.